I have always loved this coffee table which came from my Grandad, part of the business where he worked sold tiles and they had this table made up in the fifties to show the different designs. Unfortunately I had it in various student flats and it didn't fair to well! It is a bit cracked and broken but I still love it. 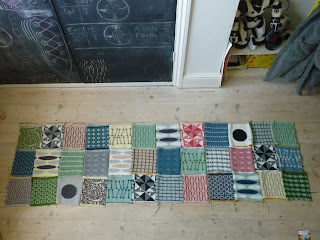 The table has inspired me to do these patchwork tile cushions - I have now been commissioned to create a patchwork bed head - I have laid out the patches to fit a wooden frame 72" x 18". 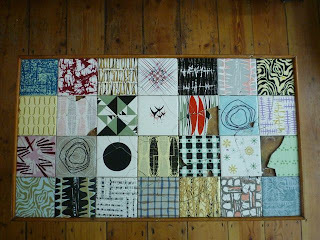 Really beautiful tiles Sally - I love that table. so lovely! 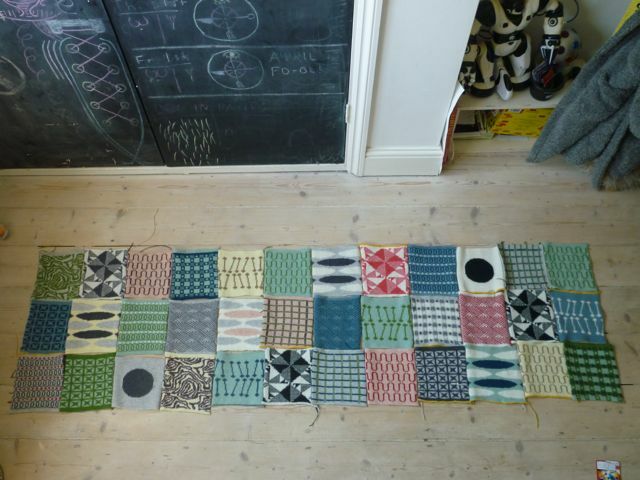 what a sweet form of inspiration and such a remarkable likeness in your textiles. that table, what a lovely piece of inspiration. 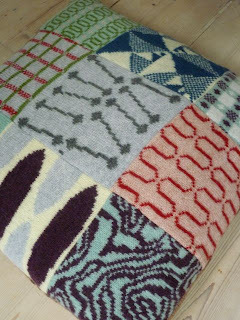 i wouldn't mind a big blanket made of your patchwork tiles! I love that table too! 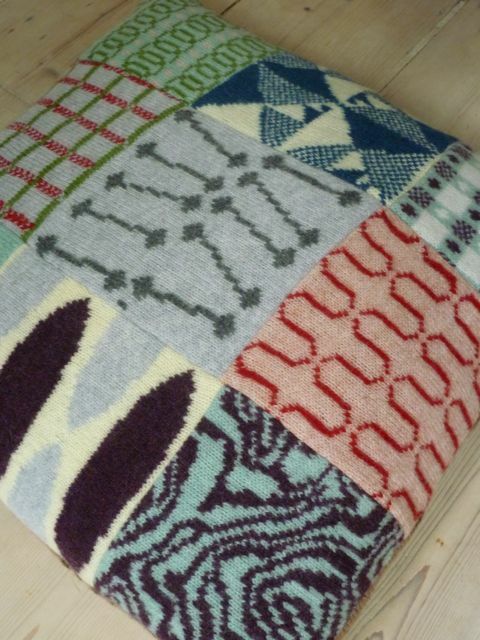 how nice to be able to recreate it in wool! Those cushions are gorgeous - will they be available in your shop? Thanks for all you lovely comments! 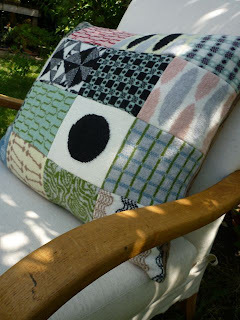 I have just put two cushions in my shop now - they can also be made 18" and 24". Hello Sally! I have just discovered your amazing work! 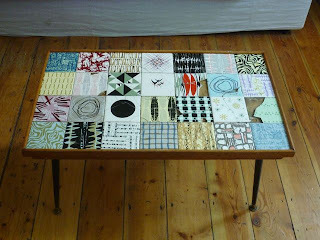 The tiled table is fabulous and I love the pouf you made from that design. I have my eye on lots of things. Love, love, love your work! Thanks Sandra, its lovely to hear you like it!